polyglycolic acid-Huaian MEIYI Medical Instruments Co., Ltd. 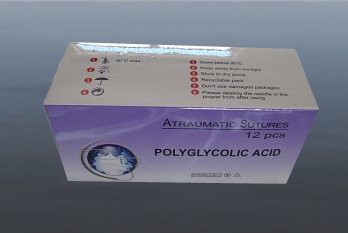 Braided and monofilament synthetic absorbable sutures are composed of the homopolymer of glycolic acid. Sutures retain approximately 65%of the original tensile strength at two weeks and approximately 35%of at three weeks post-implant. Sutures is essentially complete between 60 and 90 days.